Compared with a windbreaker for everyday or hiking, it is even more desirable for a running windbreaker to fit and being lightweight, so that runners may run smoothly and freely. In addition, the body generates a lot of heat in the course of intense exercises. A good breathability can avoid stuffiness, and to reduce the occasions that sweat causes the fabric to stick to the skin which causes further discomfort. 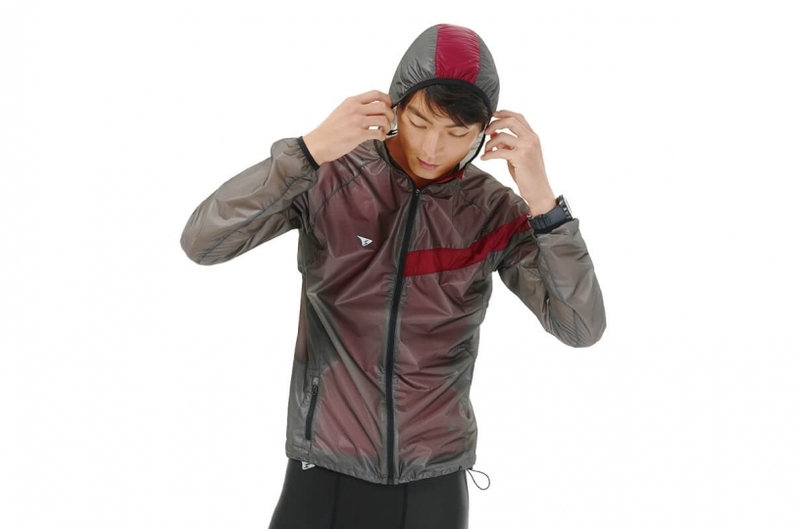 How to Choose a Suitable Cross-country Running Windbreaker? Firstly, windproof and breathable are the essential features. 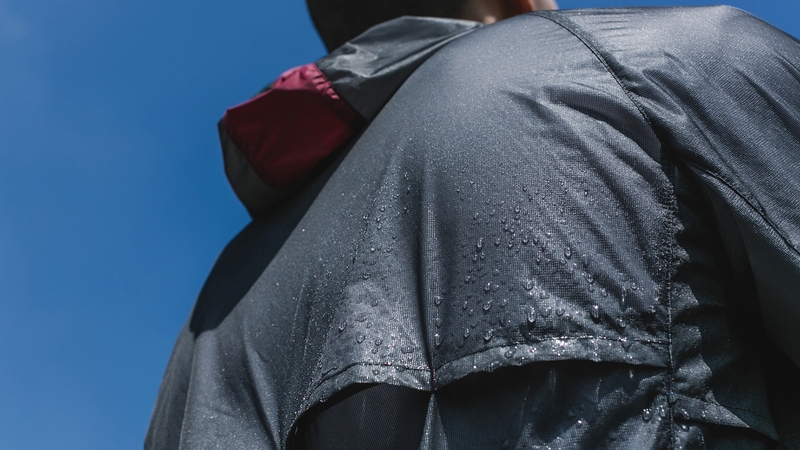 With the advancement in fabric technology, the majority of windbreakers nowadays are water-resistant, which can cope with most weather conditions. While in case of a sudden rain pour or morning dew, especially under a cold temperature, being waterproof can greatly reduce the possibility of a temperature loss. In addition, a light and portable design that is easy to wear and to take-off allows runners to focus on running. Finally, a windbreaker that is made of carefully selected tough and durable fabric. It will then travel around with you, and become a long-term cross-country or marathon partner that faces challenges together. "Scratch and abrasion resistance", "windproof, waterproof, breathable" and "convenient" are the three key criteria for choosing a good cross-country running windbreaker! The majority of running windbreakers in the market are made of 100% polyester, with a smooth and non-porous surface, high strength and do not easily wrinkle. They excels in the toughness test, but their breathability is the biggest drawback (will be mentioned later). Therefore, many professional high-end brands constantly strive to develop other materials, which are comparable to polyester in strength, but are more breathable. A windbreaker with a hood design, which prevents strong winds from blowing to the head and catching a cold. For runners, the coverage of the hood is an important key. The design fitting the face shape can effectively block rains, and avoid the hood from being blown backwards while moving. There are breathing holes at the back of the windbreaker. The body’s back will not suffer from stuffiness due to heat. This caring design makes running more comfortable. The zipper design is smooth. A well-shaped buckle that will not seize the cloth when it is quickly pulled up and off. Cuffs with moderately tight elastic bands, which will not cause traces on the wrists. Use the tightening rope to fix the cuff position to prevent the sleeves from sliding. This serves also windproof and cold-resistant functions. How to evaluate how waterproof, breathable the material of a windbreaker is? Let the data tell you! The water resistance coefficient refers to the maximum pounds per square inch (psi) when water pressure is applied on the fabric without leakage. Compare the strength of the wind/rain with this number, you will know in what extent can the fabric/clothing withstand a harsh weather condition. The breathability coefficient refers to: within 24 hours, how many grams of water vapor can be infiltrated by 1m2 of fabric. But is it possible for a piece of fabric to be waterproof and breathable at the same time? The answer is yes! For example, a non-porous hydrophilic PU film has a good water repellency. As the same time, the material is introduced a hydrophilic agent, such that moisture can be actively absorbed from the inner layer, diffuses into the middle layer of the fabric, and goes away from the outer layer. Sweat is gradually guided out of the fabric via diffusion. PU film is a new popular sportswear material, which is not only waterproof and breathable, but carries also many excellent properties such as good elasticity, wear/tear resistance. Some sportswear is made of 2-layer PU film laminated tricot fabric. The yarns are interlocked, which is stronger, more durable and less deformable than other knitting methods. The interlayer provides good support and protection between the PU films. 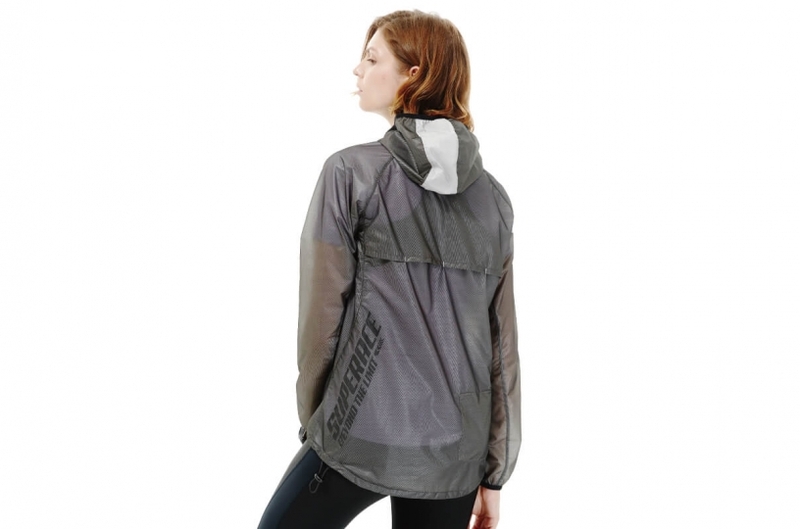 This makes the windbreaker lightweight, windproof, breathable and durable. Therefore, PU film replaces polyester to become one of the major windbreaker fabrics. Sports clothings and equipments must be light and convenient. "Lightweight" comes not only from the quality of the fabric alone. A 3D well-fit, a reduction of excess fabric and cumbersome functions, being the most simplistic design can make a windbreaker even lighter, so that the runners can run easily and freely. The importance of the hood is mentioned above, but it is rather disturbing when the hood is hanging when not in use. Therefore, this zippable hood design (hided in the collar) is more convenient and practical. A windbreaker as an outer clothing is a choice. An easy to store and grep design - allows you to take the windbreaker off whenever the weather suddenly turns warm. A palm-size small pouch with an elastic band, to be carried around by hand effortlessly, avoiding unnecessary troubles in sports.